On a trip to Cambodia, you can be mistaken for thinking that it’s all temples and history lessons, yet there is so much more to this beautiful country. With so many amazing things to do and see it is easy to feel overwhelmed. 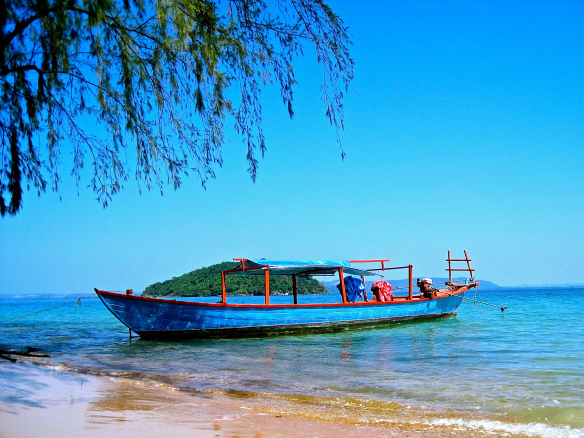 The small coastal town of Sihanoukville has really taken off as one of the must-visit places in Cambodia and its no surprise with its laid-back atmosphere. The town is sprawled out over a small peninsular but the most popular area is Serendipity Beach. The roads and infrastructure are still a work in progress but this just adds to the charm and fun of the place. If you are in need of a beach escape this is the place to go! NOTE: Make sure you research what the weather will be like as it does have a rainy season and a hot season. Depends on how much time you want to spend on a beach? 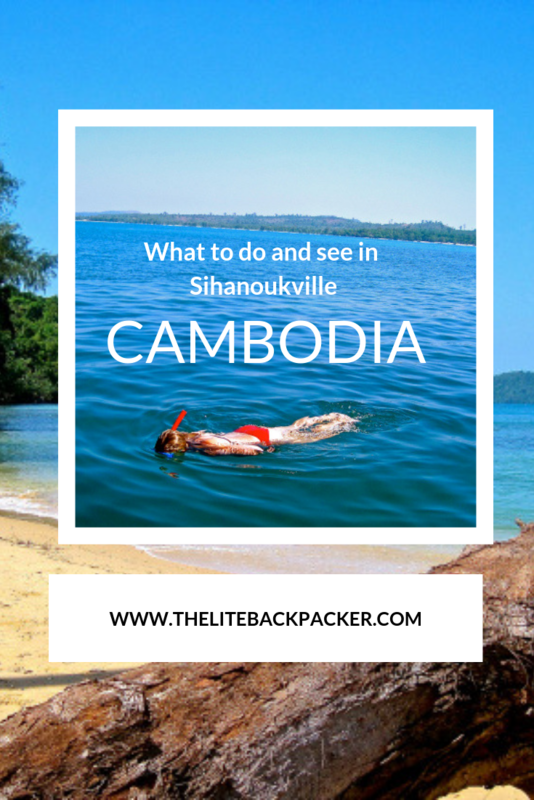 There are also some great day trips to be done from Sihanoukville so factor in a couple of extra days on top to do these. Beware: There you are walking down the street, minding your own business when suddenly you hear “You want a smoke?” “You buy Marijuana?” “Hash for you?” coming out of the darkness. Don’t be fooled by the laid-back feel of the place, drugs are illegal and having them on your person is grounds for arrest. Also, there are rumours that some of those oh so friendly drug pedlars are in fact undercover cops who will exert bribes after arresting you. Be sensible and think twice about what a Cambodian jail would be like. 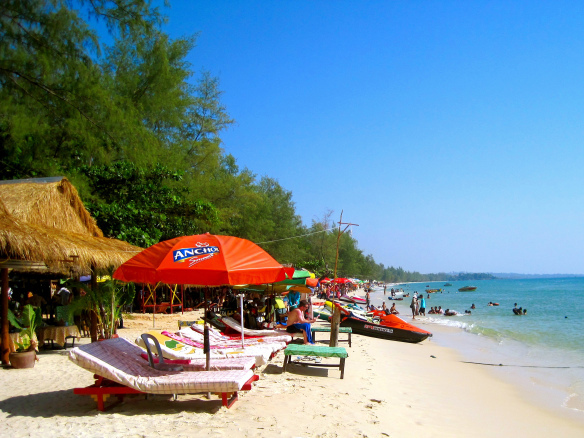 Beach time is generally the number one thought on most people’s minds when they come to sunny Sihanoukville. However the main beach Serendipity has been divided up by the bars that line the shore if you sit in one of the many luxurious reclining chairs be prepared to pay for it. You can walk down the beach to where the bars run out and set up your towel for a good old-fashioned sunbake. Island hopping is a great way to spend a day feeling like you are doing something when really you are just lolling on different beaches. 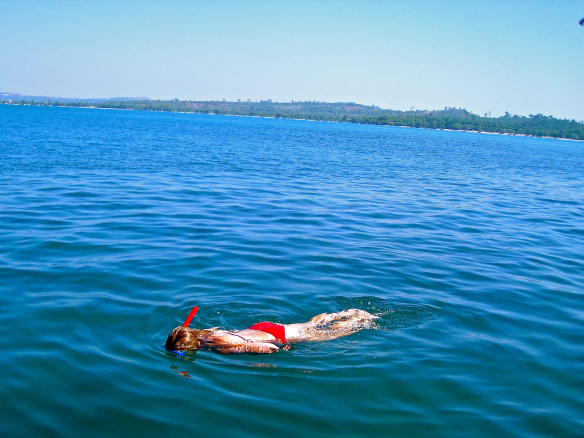 You can book a one day tour at most of the tour agencies in town which usually includes some snorkelling, lunch on a nearly deserted island, more snorkelling and maybe another deserted island for some more swimming. 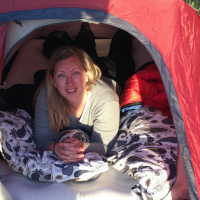 Pack sunscreen! Massages are an even better way to relax than lying on the beach with a cocktail in hand. With the whole town geared up for relaxation, it’s not hard to find a place for a deeply relaxing massage. 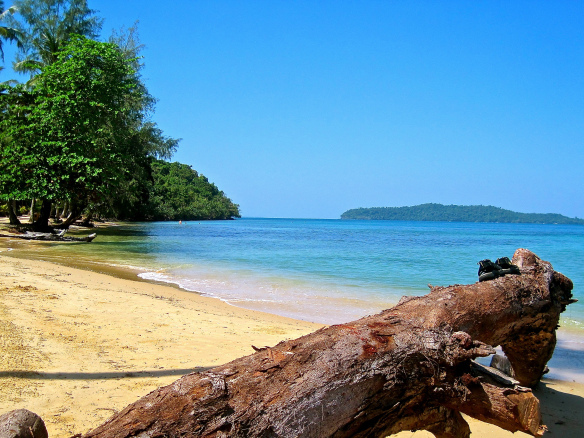 Ream National Park is another great day trip that you can do from Sihanoukville. A great way to see the countries natural landscape filled with jungles, mangrove swamps and beaches. Most tours involve a boat trip down the river to the sea, where you might see flying fish and if you are REALLY lucky – dolphins (I wasn’t lucky), a jungle trek and some beach time to finish up. Make yourself pretty by getting a pedicure and manicure. For the low price of $2, you can spend half an hour having your hands and toes preened leaving you feeling sparkly and fancy! Feeling hungry or need a place to stay in Sihanoukville? Hit up Mick and Craig’s an institution of Sihanoukville, for affordable food in a clean and homely restaurant. If you are there over Christmas they do a great roast turkey dinner. Happy hour bar hopping is the cheapest and best way to get to know the Sihanoukville nightlife. At nearly every hour of the evening, a different bar will have a happy hour going. During the day work out which one has the earliest and start there – ending at the one with the latest. NOTE: As mentioned previously the infrastructure isn’t very developed, including street lights, if you are pub hoping to a new place go with a friend as there are many dark alleyways which may not be the safest place for a drunk traveller. Did you say all you can eat Indian? Head to Tajmahal Indian Restaurant for some of the best Indian you will ever have. On the night I was there they had a buffet and for the equivalent of $5, you could eat as much as you like! I am not sure if this is a regular thing they offer but it was absolutely amazing. I went back for thirds and fourths… which was a great way to line the stomach for the happy hour pub crawl that happened later. If it isn’t a regular thing I would still recommend it – because it was absolutely heavenly! Make sure you leave some time for this gem of a beach town as Siem Reap is great for temples, Phnom Penh is full of political history and heart renting tales, but head to Sihanoukville for some sun, sea and cocktails!